Knowing and understanding what we eat is important. 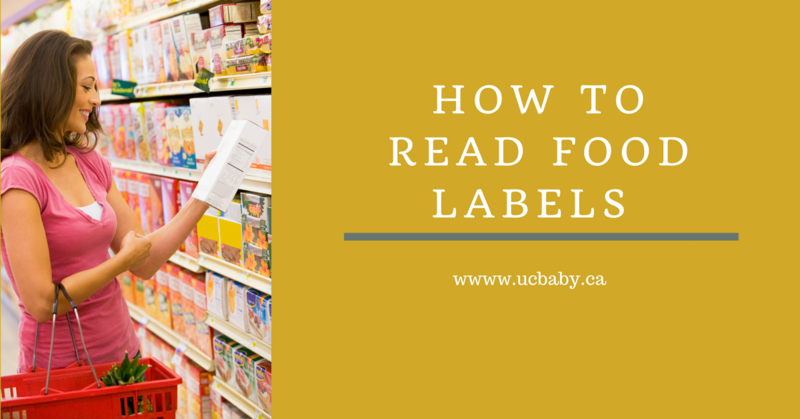 Learning how to read food labels is a start. 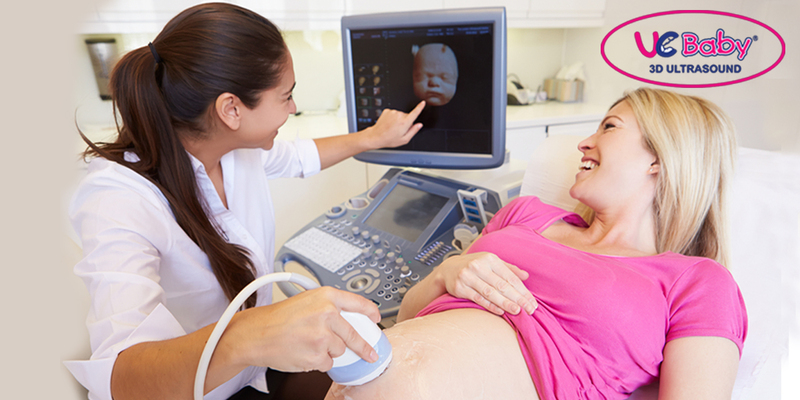 It would tell us whether we are consuming more of the good, or an excess of what the body does not need. Canadian Food and Drug Regulations (FDR) requires Nutrition Facts table (NFT) for pre-packed food products. 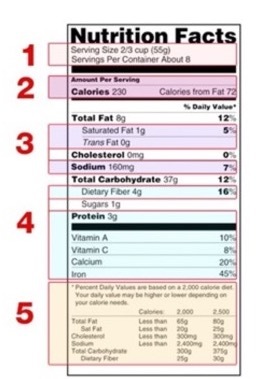 Energy and nutrient values must be declared in the Nutrition Facts table. The order of the information, as well as dimensions, spacing and the use of upper and lowercase letters and bold type, are standardized by FDR. The amounts are declared in metric system and they are rounded to the closest number. 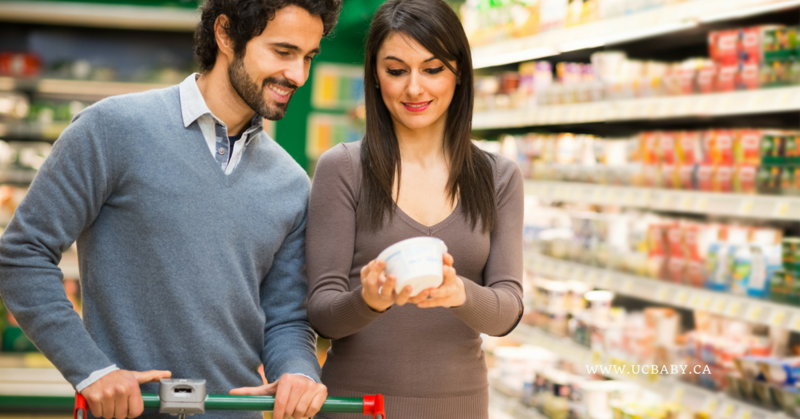 Serving Size and Serving per package: This explains the amount typically consumed with single serving and the total number of servings per package. Total calories per serving and calories obtained from fat: Manufacturers calculate the energy value of the protein, fat and carbohydrate by the Atwater factors or by laboratory tests and round up to closest number. Information of fats in foods, including trans fats and saturated fats: Trans and saturated fats are bad for health. They raise LDL (bad) cholesterol level. Avoid foods with these fats. Declared carbohydrates amount must include sugars (e.g., monosaccharides such as glucose, and disaccharides such as sucrose), starch, dietary fibre sugar, alcohols glycerol and polydextrose. 4 – Fiber, Protein, Vitamins and Mineral Nutrients: Good stuff. Make sure you get enough of dietary fiber, protein, calcium, iron, vitamins and other nutrients you need every day. Fiber consists of, naturally occurring in foods of plant origin and accepted novel fibres. Novel fibres are synthetically manufactured fibre obtained from natural sources. The protein rating shows the protein content in a daily intake of the food. It is calculated by multiplying the quantity of protein in a Daily Intake of the food by the quality of the protein, which is the Protein Efficiency Ratio (PER) of the food. Vitamins and mineral nutrients are based on the combined total of both the natural content and any added content of a food. Vitamins and mineral nutrients are declared as total amounts and percentages of the daily value per serving of stated size. % Daily Value (DV) tells you the percentage of each nutrient in a single serving, in terms of the daily recommended amount. 5-20 Rule is used as a quick guide to label reading. The 5-20 Guide doesn’t define a food as good or bad. Instead, it can show how the food fits into your daily diet. • 5% Daily Value (DV) or less is low – for nutrients you want to get less of, choose foods with a low % DV. Nutrients to get less of are saturated fat, trans fat, cholesterol, and sodium. • 20% Daily Value (DV) or more is high – for nutrients you want to get more of, choose foods with a high % DV. Nutrients to get more of are fiber, vitamins A & C, calcium and iron. • The information shown in labels is based on 2,000 calories a day. You may need to consume less or more than 2,000 calories depending upon your age, gender, activity level, and whether you’re trying to lose, gain or maintain your weight. • When the Nutrition Facts label says a food contains “0 g” of trans fat, but includes “partially hydrogenated oil” in the ingredient list, it means the food contains trans fat, but less than 0.5 grams of trans fat per serving. So, if you eat more than one serving, you could quickly reach your daily limit of trans fat.